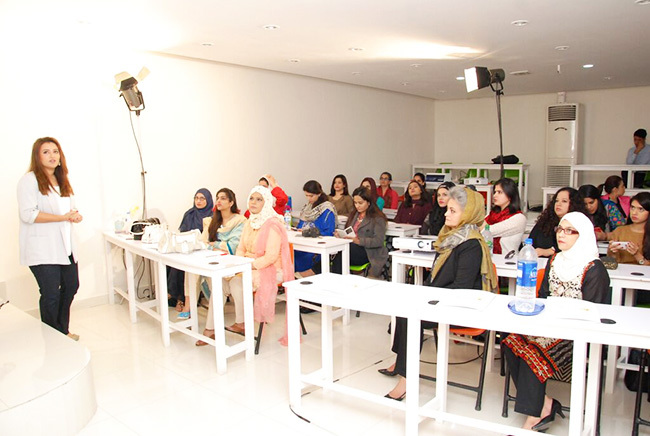 Depilex Group is celebrating their 35 years in industry and as part of their celebration they invited beauty bloggers for one day professional makeup workshop at Depilex College of Cosmetology. 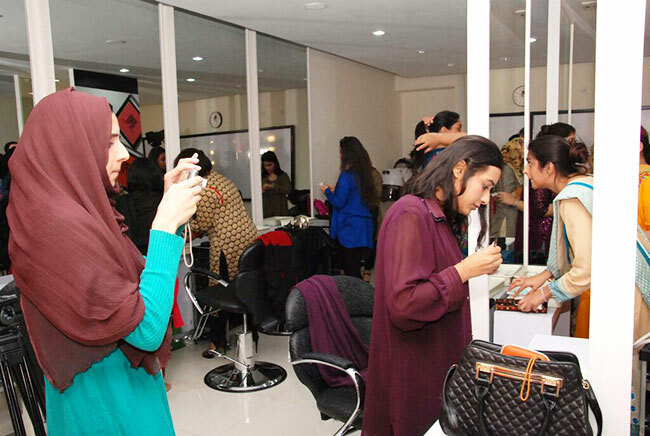 DCC is a Pakistan's first state of the art beauty college. We are really honored that we were invited to be part of this workshop. Masarrat Misbah is Pakistan's first beauty entrepreneur who brought to light the atrocious acts of acid and kerosene attacks in our society. She has created a platform for all those impacted by this hideous act so their stories can be highlighted not as victim but as survivor. The Depilex Smile Again Foundation creates awareness so others know how to prevent and heal. 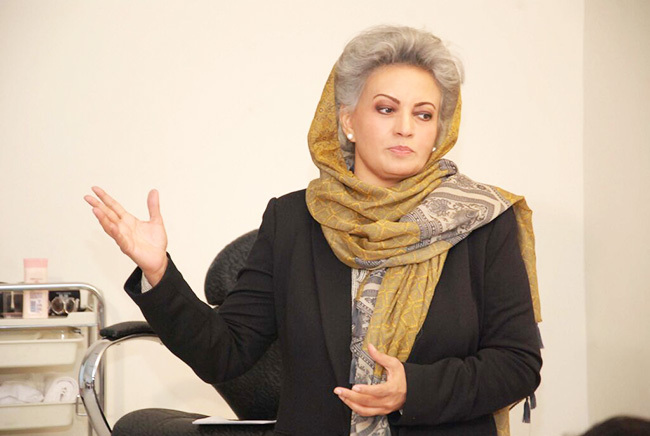 As part of the DSF mandate, survivors are provided reconstructive surgeries, psychological counseling, vocational training and all the tools needed to be reintegrated back into society. The instructor Isma, highly qualified professional in makeup industry, gave us a demo on makeup by creating day to evening makeup look step by step on a model. She was kind enough to share her make up techniques with us and patiently answered the flock of questions flying towards her one by one. After a lunch break we were given the opportunity to experiment the makeup tips and techniques we learned in demo class. We were provided the palette full of essential tools like wipes, tissues, cotton buds, moisturizer, lip balm to clean old makeup and start new one. The makeup which was provided us was by MM makeup. 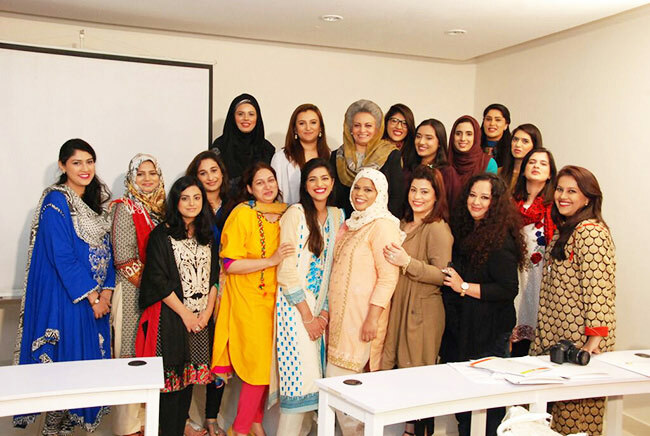 Masarrat Misbah makeup was launched this year and have already become one of the Top Makeup brands of Pakistan. Through out our make over the instructor watched closely each of us and pointed out the mistakes and even helped some to create perfect look. After our experiment Masarrat Misbah watched closely to all the participants makeup look they had created and appreciated them. 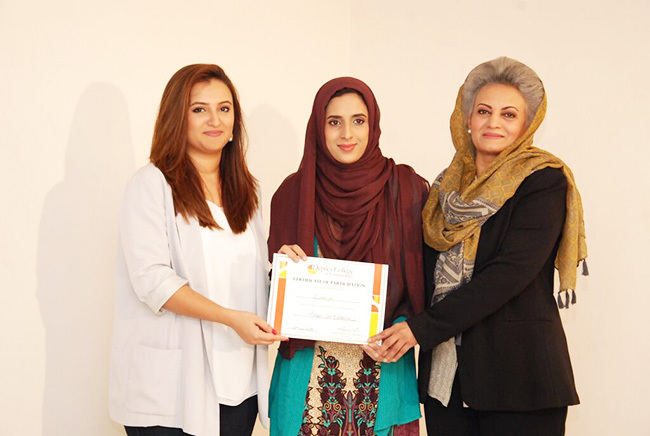 At the end of the day all participants were awarded with participation certificate by Masarrat Misbah and Ridha Misbah. As i have never experienced any training in makeup and everything i know, i have learned by my self through years. I must say it was great opportunity for me to finally have some professional guidance which was worth it. We being in beauty blogging are aware of basic makeup and tricks but learning from professionals just for one day added the extra bit of topping to our dessert. There are many little tricks we learned which we might ignore but are really useful and important. The atmosphere of the institute is really comfortable and is perfect for learning and experimenting. It follows high international standards and have latest equipment for their students and staff for learning and teaching. They follow strict hygienic rules and expect from their students and staff to follow them like sanitizing the hands and tools, oral hygiene etc. The staff is really friendly and cooperative. I must say i have never experienced how nicely they treat every one without any discrimination and i can safely say that this is all just because of the lovely lady Masarrat Misbah here self who is insanely humble and down to earth and have trained her staff to her high standards and even leave the remarkable positive influence on the ones who met her once. Overall i had an extremely wonderful day at DCC and have learned a lot of things and got the chance to try MM makeup finally. I would highly recommend everyone if you want to truly learn, enroll yourself at DCC and experience the high international standards learning in your own country at reasonable price. The good news for my readers from Pakistan is that if you are interested learning in following short/long courses at DCC, you can avail 20% discount on behalf of our blog. Email us at info@glamupgirls.com with your details for further information or you can message us on our Facebook page. Following are the programs falls in discount category.